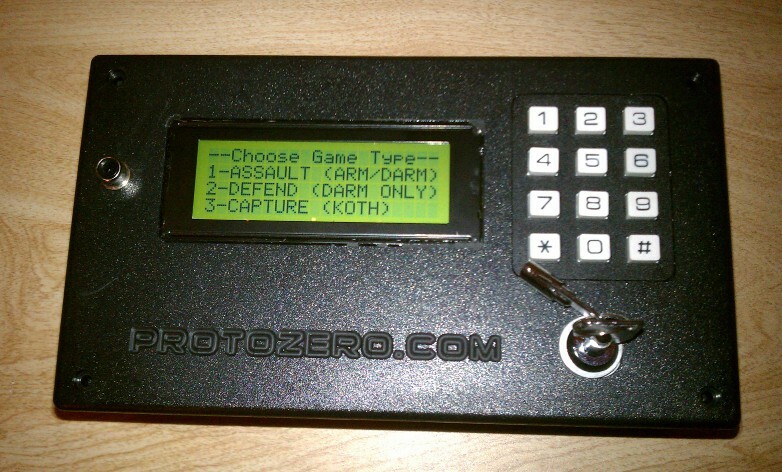 Timer for airsoft and paintball games that has multiple game modes (defense/attack/capture). Timer must be “diffused” by a player in defense mode, armed/diffused in attack mode, or 2 teams fight over control in capture (king of the hill) mode. This is currently a work in progress. More details and code coming soon.